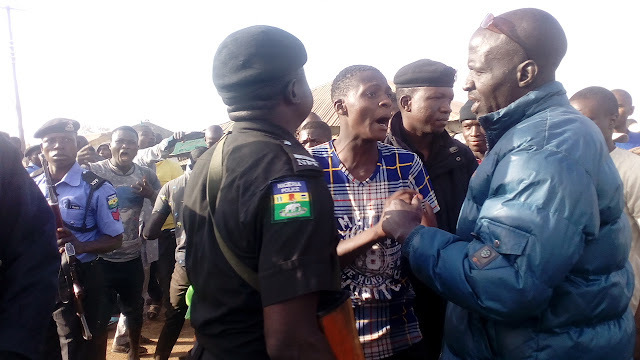 Police in Plateau State, Thursday declared a fresh set of suspects wanted in connection to the alleged murder of Maj. Gen. Ibrahim Alkali. Police Public Relations Officer, DSP Tyopev Terna in a press statement said after elaborate, discreet and painstaking investigation into the "Culpable Homicide" case of late Major General IM Alkali (retired), it was found that the suspects culpable. The statement lists the suspects as Mr. Kannan Nyam, Mr. Solomon Gyang Jang, Mr. Dustine (Surname Unknown), Mr. Dung Deme, Mr. Gyang Murrak, Mr. Chuwang Samuel, Mr. Nyam Samuel, Mr. Dung Gbeh, Mr. Daddy Dogo, Mr. James Dung, Mr. Gyang Dung and a youngman nicknamed Jay Boy. All the suspects according to the statement hail from Dwei Village in Du District of Jos South Local Government Area of Plateau State except Mr. Gyang who is from Gushet Shen Village of same Jos South Local Government. The statement advises anyone with useful information on the whereabouts of the suspects, "now at large" to report to the nearest police station or call 07059473022, 08038907662, 08075391844, 09053872296. The police had arraigned about nine suspects in court where trial is still holding. The slain General is believed to have been ambushed and killed in Lopandet village of Du District in Jos South Local Government Area on September 3, 2018. His alleged murder followed reprisal attacks by youths in the area after an overnight attack that left about 11 people dead. Defense authorities had however said the General was already in Bauchi state when he last spoke to his wife. The DHQ had said the General was travelling on a Sports Utility Vehicle when he was killed but later recovered a Toyota Corolla car from a pond in Du said to be his. Although rumours spread that his wife had said the recovered car was not his, military authorities laid siege to the area until over 20 people including a pregnant woman were arrested and detained for weeks. The case was later transfered to the Police Command in the State which speedily facilitated a court case against the suspects. All of the suspects had pleaded not guilty when rumours again filtered that the General was killed by assailants believed to have been arranged by top military authorities in the Nigerian capital to conceal shady deals known to the deceased. He was said to have openly criticized certain procurements and the running of the Northeastern anti terrorism mission. The then Head of Administration in the Defense Headquarters, Abuja was believed to have filed for voluntary retirement two weeks before his alleged murder. He was also said to have contested the position of Chief of Army Staff, because of which he maintained a severed relationship with Gen. Tukur Buratai the present Chief of Army Staff.